Before we begin today, I need YOUR vote! I am one of the five Honorable Mention finalists for the World Card Making Contest at Paper Crafts and Scrapbooking magazine! I need your vote on my floral birthday card to win the BIG PRIZE! Thank you!!! You guys rock! GO HERE to VOTE! I am up over on the CAS-ual Fridays Stamp blog today with this card using a couple of the brand new, and totally GORGEOUS stamp sets! 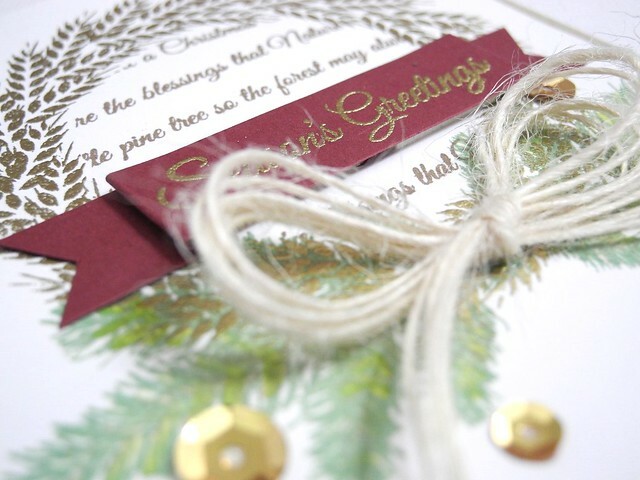 I stamped the boughs from Pinecones first and then stamped and embossed the Wheat Wreath over that in gold. Because gold. I stamped the poem inside the wreath, using a little masking to make it work and then created a sentiment banner to layer over the wreath. Finally, a burlap string bow finishes if off! I love how these two stamp sets played SO beautifully together! Such a pretty outcome! Be sure to head on over to the CAS-ual Fridays Stamps Blog for even more inspiration!!! SO PRETTY! Love the added sequins - really perfect! A gorgeous card, Jingle; such a unique, pretty combination of images. Heading off to vote for your right...now! Wow, this is just gorgeous! I voted for you.....good luck!! What a pretty bow on this card. Beautiful! Love the touch of gold. This card is absolutely gorgeous! 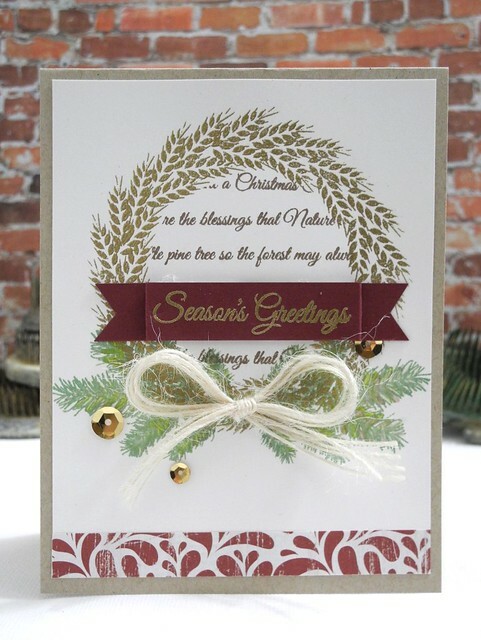 I love the gold embossing and the bow is such a pretty touch! Please leave a comment. They make me happy. I am a BIG FAN of Happy. For reals, though. I am me. I am a wife, a daughter, a sister, and a friend. I am an artist. I am a crafter. I laugh. A lot. NOTE: I receive free product from EACH of these companies and their affiliates to create the samples I share. All opinions expressed are my own. Posts may contain affiliate links and I am given a small percentage of sales purchased via these links. Because Narwhals Like Christmas, Too! Another Fabulous Year of Being AWESOME!